Among all the phones that are getting the official Android Oreo Update, Google’s Pixel devices and some Nexus phones are on the top of the list. These include Pixel, Pixel XL, Nexus 6P, Nexus 5X, Nexus Player and Pixel C. The Google Pixel and Pixel XL have already got the update and today, some Nexus 6P users have reported that their phone got the Android 8.0.0 Oreo Update. 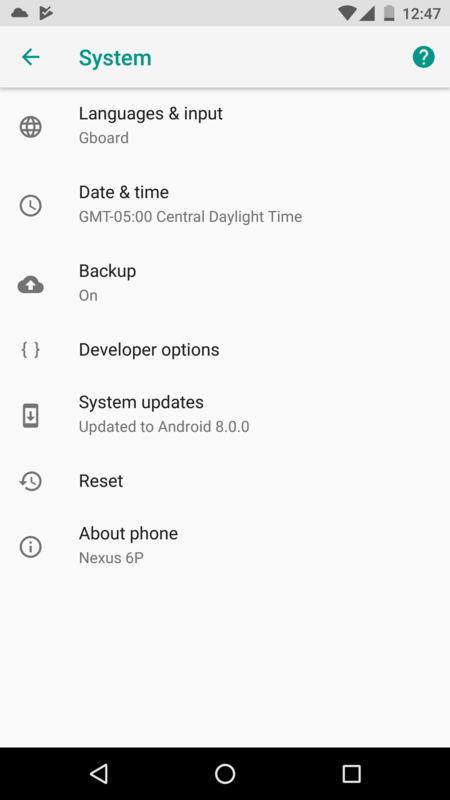 Now, this is an Over-The-Air or OTA Update so all the 6P users might not get it today. This also gives us the hint that the rollout for other Nexus devices is happening in a few days. In case you don’t know, Google has already made the official OTA files official for the eligible Nexus and Pixel devices so if you don’t want to wait for the OTA update, you can manually install the update on your phones. For that, click on the buttons below to download the Factory Images and OTA Files. In case you don’t want to install the images manually, you can wait for the official OTA update that will be hitting your phones pretty soon if it hasn’t already. Have you got the update on your Nexus 6P? Do let us know in the comments section.